Join us for a panel discussion focusing on women-owned businesses in the health and wellness industry. Our panelists will share their experiences on opening a business as a sole proprietor in Cambridge. Hear stories about success with clients and how wellness affects various parts of your life. Cathie started Herself360 in October of 2017 after marching with the "Women's March on Washington" in January of 2017. 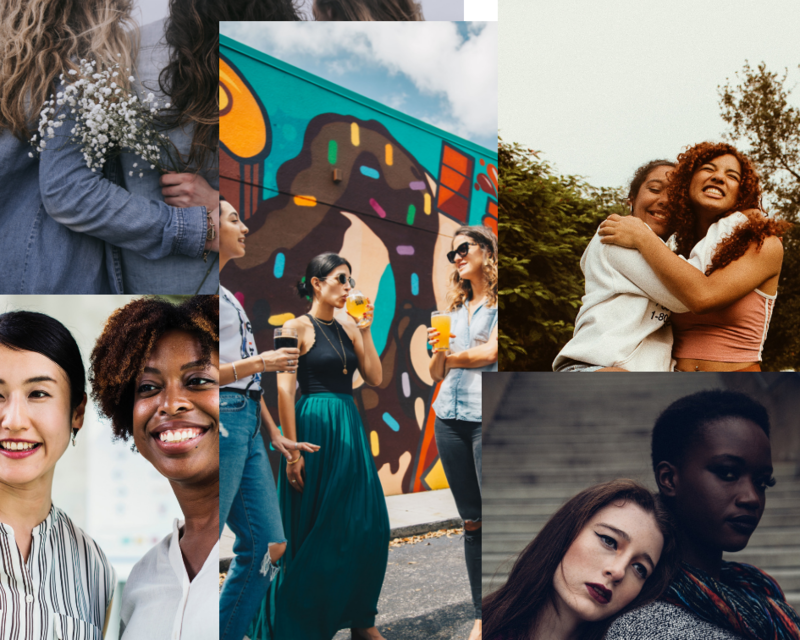 She was so inspired by all the women and the impact of all the women's voices together, she felt she needed to become a site for women to share their stories to engage, encompass and support women in every aspect of their life. Cathie was born and raised in Massachusetts. She had been working in tech and marketing since 1994. She built mission-critical databases for everyone from adoption agencies to private equity firms. And she has managed marketing and sales teams. Cathie also had a short stint as the Operations Manager for the US Software Division of Objects 9000, a German-based software company. And prior to that was the Marketing Director for the US office of Pelikan Pens, a high-end German pen manufacturer, working with advertising and marketing specialty pens, including all design, content and project management of all magazine advertisements. Stephanie Troy, LICSW is a Mind/Body Therapist & Trainer specializing in stress and anxiety management. She is the owner of Your Whole Healing which provides individual counseling as well as corporate wellness stress management programming focusing on helping individuals Strive to Thrive. She combines her over 16 years of experience as a therapist with her certifications in nutrition coaching and yoga to provide an innovative blend of traditional therapy with health/life coaching which has a foundation in Buddhist and positive psychology as well as the innovative research on the gut-brain connection. Stephanie came to this specialization in holistic health and stress management through healing herself from burnout in the field of social work. Over a cup of tea, Stephanie shares with her client's antidotes she has learned along the way combined with professional guidance on better managing stress and burnout. She writes both for her own blog as well as a contributor to the Huff Post and Elephant Journal. My story began in 2006 while I was raising 3 children on my own. Through my journey of self-discovery and seeking a new career, it was suggested by a very good friend that I look into massage therapy. She found it to be a rewarding change from the food and beverage industry work we had been doing. I said, “No way! I don’t want to do massage, but I could poke them with needles.” She said, “Acupuncture, awesome!” This became the spark which has transformed my life. In 2009, I was accepted to the Master's program at the New England School of Acupuncture, the oldest accredited acupuncture school in the nation. I felt in love! Old wives tales of my youth, things my grandmother and mom told us not to eat or do (or we might get sick) came back to me in the classroom. It all made sense! The rigorous education and training ignited my brain and passion to help others. I wanted to be an example to my children, that if I could do this, at my age, they could do anything they set their minds to. After graduating in 2013, I worked for other acupuncturists in a private setting and also at a community clinic. I gained invaluable experience literally touching people’s lives and making a difference to alleviate pain and emotional stress. I decided to open my own private clinic just last year. Serene Earth Acupuncture is a dream come true, where I can do what I love, which is to help people any way that I can. 'Ashana Crichton is an ICF Certified Leadership Coach, Energy Leadership Master Practitioner and Principal of Arc Growth. Within her practice, she works with mid-career women, helping them adopt a more strategic approach to their professional lives. Through coaching, they increase self-awareness and harness values-based behaviors to make career gains AND achieve a more fulfilling work/life balance.